Babies get infant botulism after consuming spores of the bacteria. These spores grow and multiply in their intestinal tracts and make toxins. The source of infant botulism may be honey, but it's more likely to be exposure to soil contaminated with the bacteria. The source of foodborne botulism is often home-canned foods that are low in acid, such as green beans, corn and beets. A common source of the illness in Alaska is fermented seafood. However, the disease also has occurred from chili peppers, foil-wrapped baked potatoes and oil-infused with garlic. When you eat food containing the toxin, it disrupts nerve function, causing paralysis. When Clostridium botulinum bacteria get into a wound — possibly caused by an injury you might not notice — they can multiply and produce toxin. Wound botulism has increased in recent decades in people who inject heroin, which can contain spores of the bacteria. This type of botulism is most common in people who inject black tar heroin. All types of botulism can be fatal and are considered medical emergencies. 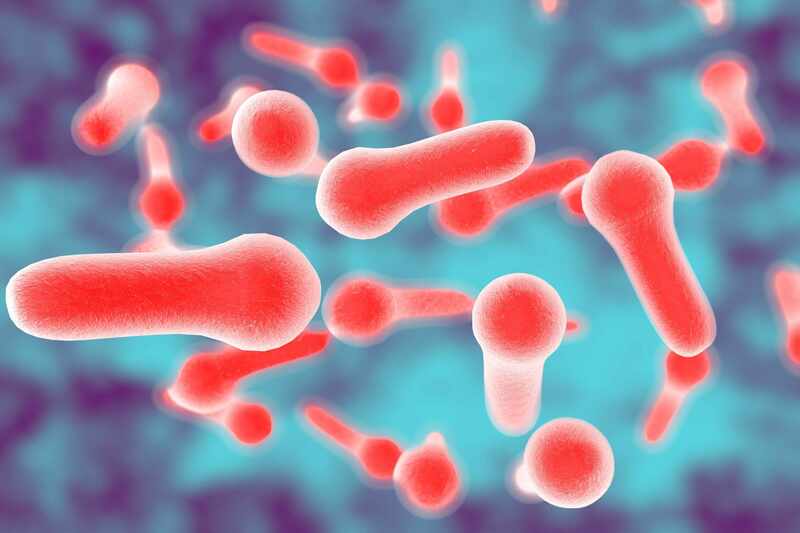 For cases of foodborne botulism, health care providers sometimes clear out the digestive system by inducing vomiting and giving medications to induce bowel movements. If you have botulism in a wound, a doctor may need to remove infected tissue surgically. If you're diagnosed early with foodborne or wound botulism, injected antitoxin reduces the risk of complications. The antitoxin attaches itself to toxin that's still circulating in your bloodstream and keeps it from harming your nerves. The antitoxin cannot reverse the damage that's been done. Fortunately, nerves regenerate. Many people recover fully, but it may take months and extended rehabilitation therapy. A different type of antitoxin, known as botulism immune globulin, is used to treat infants. Antibiotics are recommended for the treatment of wound botulism. However, these medications are not advised for other types of botulism because they can hasten the release of the toxins. If you're having trouble breathing, you will probably need a mechanical ventilator for up to several weeks as the effects of the toxin gradually lessen. The ventilator forces air into your lungs through a tube inserted in your airway through your nose or mouth. As you recover, you also may need therapy to improve your speech, swallowing and other functions affected by the disease. Watch: Dr. Nipunie Rajapakse explains foodborne botulism. Journalists: Broadcast-quality sound bites with Dr. Rajapakse are in the downloads.